Australia’s most loved toy of the 90s, the original Polly Pocket is back, 30 years after the original launch. Tiny Mighty™ takes on whole new meaning with Polly Pocket™ Tiny Pocket Places! Each compact Pocket Places opens to reveal a specific location, two additional secret reveals, three accessories and a micro figure. Each compact is small enough to take on the go for great Polly Pocket™ adventures, anytime, anywhere! The Polly Pocket™ Hidden Places Dance Par-taay! Case and Beach Vibes Backpack each open to reveal a larger themed Polly™ world and are great to take on-the-go for Polly Pocket™ adventure play anytime, anywhere! Whether you are a Polly Pocket collector yourself, or want to introduce Polly to your children, this launch is a chance to get behind one of Australia’s most-loved toys and see Polly throughout the decades. 1. 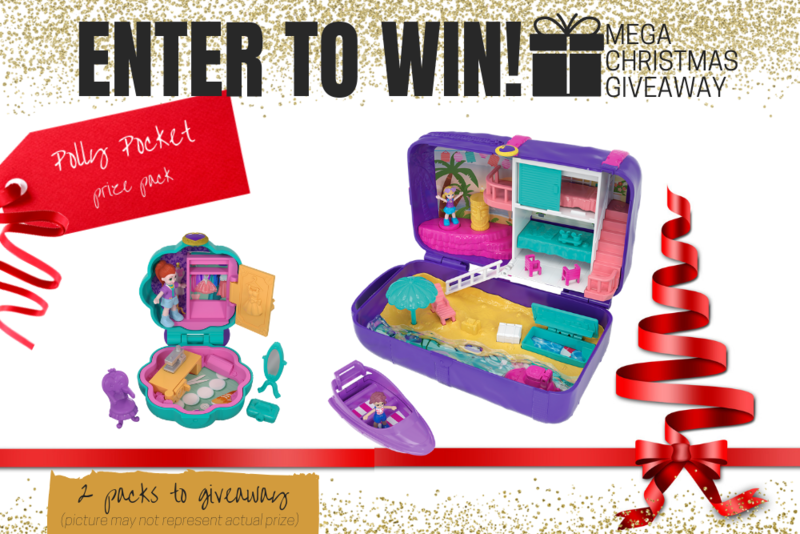 **Polly Pocket prize pack including, Tiny Pocket Places RRP$8.99 and Polly Pocket™ Hidden Places Dance Par-taay RRP$39.99. Total Prize Value $48.98** AUD (the "Prize"). 2. It is the responsibility of the winner to collect the Prize within 7 days of the end of the Competition Period from the Promoter’s Mornington office. 3. The Prize, or any part thereof, must be accepted as awarded and is non-negotiable, non-transferable to another person and non-convertible and is not transferable for cash. 4. The prize must be collected from the Promotors Mornington Office, unless otherwise advised.